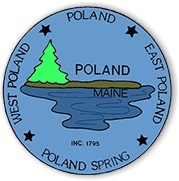 POLAND — Selectmen approved two sets of warrant articles Tuesday night to be presented to voters at a special town meeting next month. The meeting has been scheduled for 6:30 p.m. Thursday, Sept. 13, at the Town Hall. One set of warrants includes three amendments to the town’s Comprehensive Land Use Code. The first amendment would remove the term “elderly housing” from language in the code dealing with residential density requirements for buildings connected to the town’s sewer system. The same amendment would reduce to 5,000 square feet from 10,000 square feet the amount of land required for each new unit of residential apartment housing. On an acre, which is 43,560 square feet, for example, the maximum number of residential units allowed would increase to eight from four if the amendment is approved. The second amendment would allow for larger changeable electronic display signs. The town now allows the changeable display portion of a sign to take up no more than 50 percent of the surface area of a sign. The amendment, if approved, would increase that to 100 percent. The third amendment would allow the town to change the zoning designation for a lot on Middle Range Pond from Resource Protection District to Limited Residential Zoning District. The second set of warrant articles involves three tax increment financing (TIF) amendments, which would allow selectmen to approve credit enhancement agreements, correct maps and add additional uses for TIF revenues, as allowed by statute. Selectmen discussed Tuesday how the TIF warrant articles should be worded for the special town meeting so voters fully understand the amendments. While selectmen agreed the TIF amendments should be presented to the public, Chairman Walter Gallagher voted in opposition until the wording is changed for clarity. Healey also said he considers security for the school system and students his top priority.